MSI has added a new gaming notebook to its range with the launch of the MSI GE700. The MSI GE700 features a 17 inch LCD display with a resolution of 1920 x 1080 pixels. 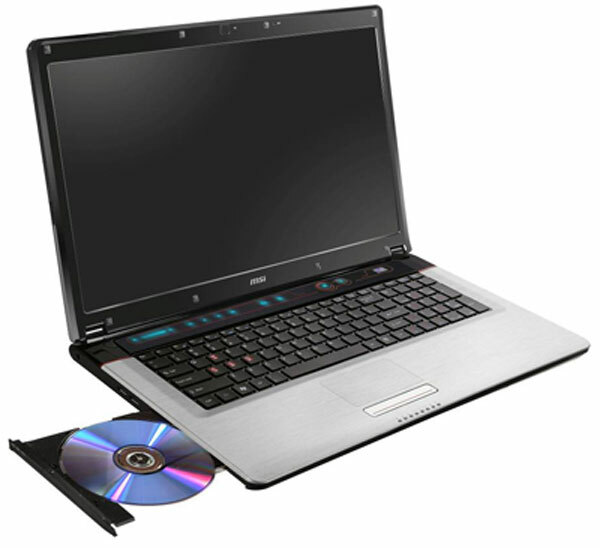 Processing comes in the form of an Intel Core i5 processor, and it features an ATI Radeon HD5730 graphics card with 1GB of VRAM. There is also a choice of hard drives which include 250GB, 320GB and 500GB with the option to add in a second hard drive up to a total capacity between the two of 1TB. The MSI GE700 also feature a four in one card reader, HDMI, D-sub, four USB 2.0 ports, an e-SATA port, microphone and headphone ports and RJ-45/RJ11. Connectivity comes in the form of integrated 802.11 a/b/g/n WiFi and Bluetooth 2.1 +EDR, there is also a HD web camera and two theater class speaker. There are no details as yet on when the MSI GE700 will hit the stores or how much it will retail for.